Thank you for your interest in our Alpharetta, GA law firm. Our personal injury lawyers are focused on helping persons that have been injured in car wrecks and tractor trailer wrecks. 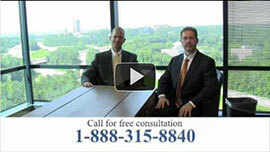 Our lawyers are seasoned trial lawyers and we have tried cases in Alpharetta and surrounding areas. The Magistrate Court is located at 12624 Broadwell Road, Alpharetta, GA 30004. Small personal injury claims can be filed in the Magistrate Court, however serious injury claims are more often filed in the State Court system since serious personal injury claims are not usually handled in the Alpharetta Magistrate Court. Did you know that Alpharetta has a long and rich history. The city and former Milton County can trace their history to the time of the resettlement of the Cherokee Indian Nation in the 1830’s. The first permanent landmark was the New Prospect Campground, often referred to as the “Methodist Camp Ground”. This landmark was located next to a natural spring just north of the present “downtown” section of Alpharetta. Alpharetta Georgia was legally chartered on December 11, 1858 and formerly had been known as the Town of Milton. Today, Alpharetta is one of the fastest growing communities in the Southeast. Its environment is considered ideal for raising families and living a quality lifestyle free from the problems found in so many similar sized cities. Or, fill out the form to the right and we will contact you immediately.